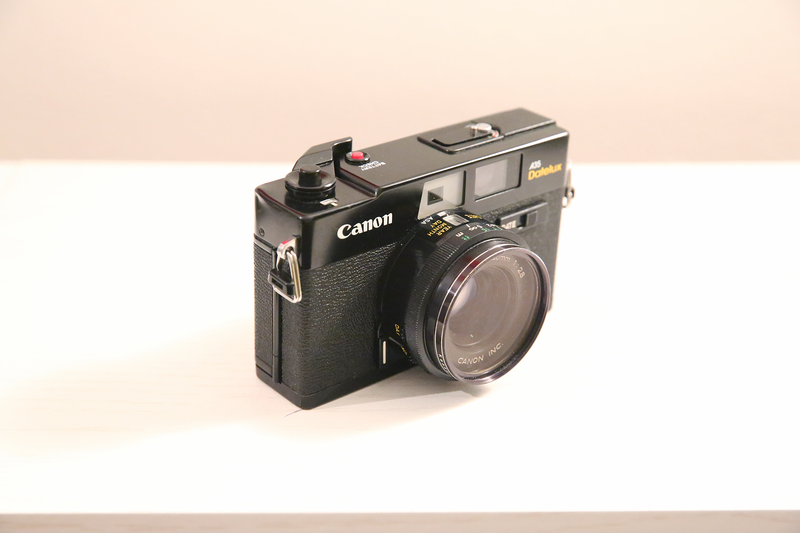 This was Canon's first manual focus camera featuring a built-in flash, with a 40mm f/2.8 fixed focal lens. 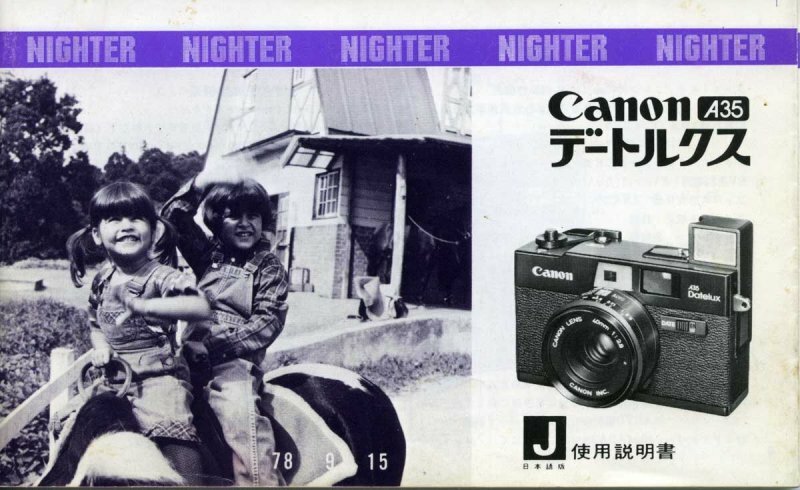 On the front of the camera, the flash was on the upper right corner. When necessary, the user could pop-up the flash manually. The flash would then start charging. The flash retracted manually. The camera used the CAT System which set the flash aperture automatically according to the subject distance, film speed, and flash output. 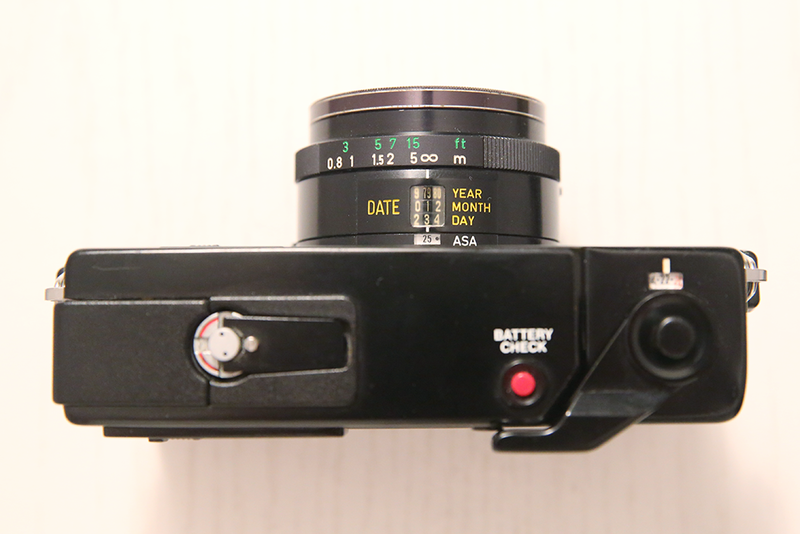 The camera had a coincidence rangefinder for focusing, fully automatic program EE, and date imprinting (the mechanism was in the lens barrel like the Datematic). When the shutter button is pressed halfway after the film advances, the date is displayed at the bottom center of the viewfinder. (The date is imprinted on the lower right corner of the picture). The appeal to me was the fact that you have to actually set the date on the dial. The years go from 79 to 89, and otherwise have figures from 0-9.